GitHub Pages is a fast and easy way to share information about you, your organization or your project with the rest of the world, without worrying about server infrastructure, configuration or databases. All you need to do is create a Pages project or branch in your Github project that will serve your website. Since GH Pages are in fact static websites, you can speed up the process of their creation with static site generators. By default, GitHub employs Jekyll, but if you use another generator you must first generate the website locally and then push it to GitHub. Buddy lets you automate the process of building and deploying GH Pages to bare minimum. In this example on every change to the master branch, Buddy will generate a new static page with Hexo and push it to the same repository in the gh-pages branch. git config --global user.email "my@email.com" && git config --global user.name "Name"
git add . && git commit -am "Push generated files"
The commands will create a clone of the repository in the Buddy filesystem. 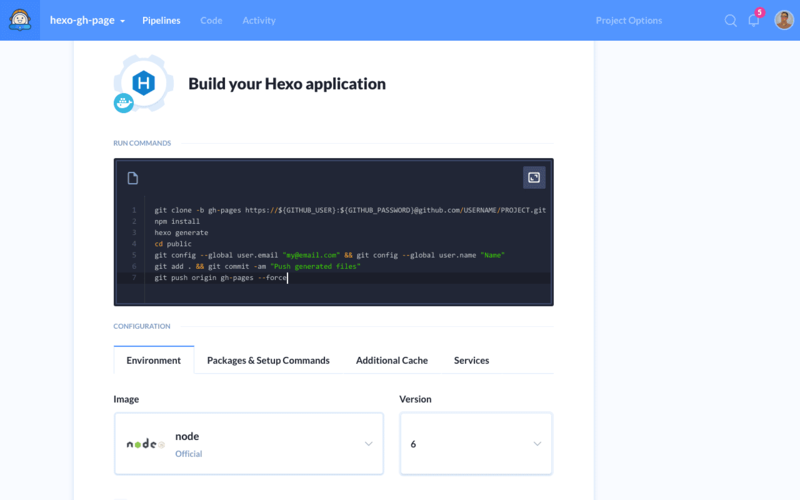 Npm install and hexo generate will generate the website in the public directory, which is then pushed to the gh-pages branch in your GitHub project. You can use environment variables in the pipeline settings to store sensitive data like GitHub credentials. 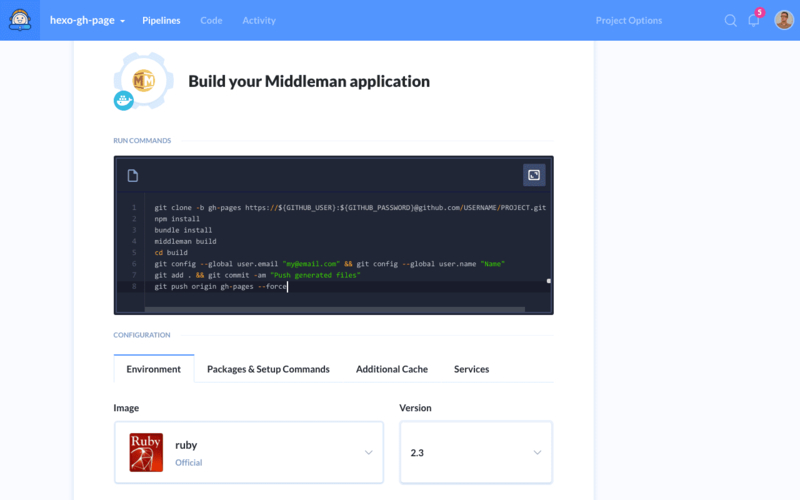 The process for Hugo and Middleman generators is the same as with Hexo, the only difference is that you choose a different action for each of them, and a different source directory for Middleman.